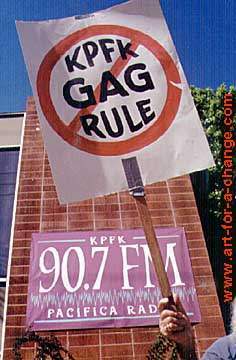 KPFK-"Lift the Gag Rule!" Demo. An emergency demonstration was held on August 15th to protest PACIFICA Radio's canceling live broadcasts of the "Democracy Now!" show.